Since the ‘war on drugs’ in the Philippines began in June 2016, the human rights situation in the country has continued to deteriorate. The Philippine President has not only vowed to extend the deadly policy until the end of his term in 2022, but has since threatened human rights defenders, imposed restrictions on freedom of expression, and undermined the independence of the judiciary. 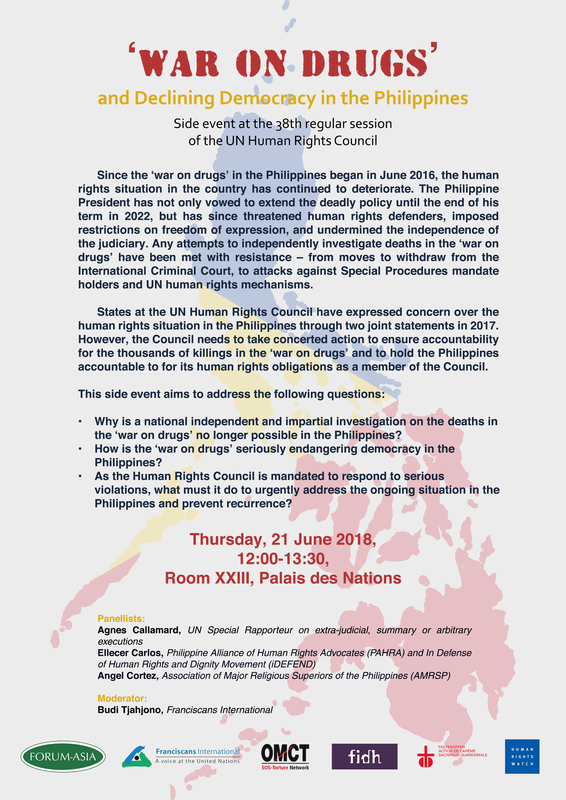 Any attempts to independently investigate deaths in the ‘war on drugs’ have been met with resistance – from moves to withdraw from the International Criminal Court, to attacks against Special Procedures mandate holders and UN human rights mechanisms. 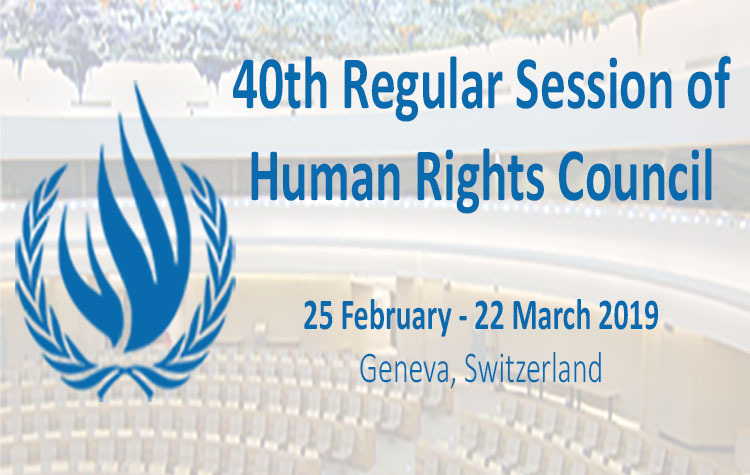 States at the UN Human Rights Council have expressed concern over the human rights situation in the Philippines through two joint statements in 2017. However, the Council needs to take concerted action to ensure accountability for the thousands of killings in the ‘war on drugs’ and to hold the Philippines accountable to for its human rights obligations as a member of the Council. Why is a national independent and impartial investigation on the deaths in the ‘war on drugs’ no longer possible in the Philippines? How is the ‘war on drugs’ seriously endangering democracy in the Philippines? As the Human Rights Council is mandated to respond to serious violations, what must it do to urgently address the ongoing situation in the Philippines and prevent recurrence?